The IRS can impose substantial penalties on those who do not pay their taxes on time. Not only does this include hefty interest rates, but it can also include a penalty that is tacked onto the delinquent balance. None of this is fun, but the IRS also knows that it has significant leverage when dealing with those who do not pay their taxes. There is reason for hope, however. In some cases, the penalty portion can be eliminated from your outstanding balance. This is known as penalty abatement. In the following article, we’ll discuss how this works and what you can do in order to qualify for IRS penalty abatement. To learn more, speak to a Fairfax, VA IRS attorney at Sodowsky Law Firm, PC. In order to have the penalties removed, you must show the IRS that you have good reason for not paying your taxes on time or otherwise missing a deadline. Indeed, the guidelines for granting a penalty abatement are rather strict. Reasons why the IRS will grant a penalty abatement include any instance in which there is a financial emergency that is beyond your control. For instance, if a natural disaster has struck your home or you have had a major medical emergency that resulted in unforeseeable expenses, the IRS will likely grant an abatement. It can also happen that the IRS made a mistake on your taxes. In that case, you will also qualify for an abatement. In some cases, the IRS may grant a taxpayer an abatement when they are otherwise in good standing with the IRS. The IRS uses a piece of software known as the Reasonable Cause Assistant (RCA). The RCA denies more abatements than it grants. 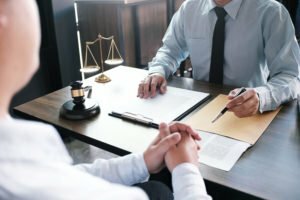 You should be aware that just because you are in good standing with the IRS doesn’t necessarily translate to forgiveness when it comes to interest and other penalties. However, if the software has denied your petition, a taxpayer can appeal to the good graces of the IRS agent who is handling their case. Penalty non-assertion request. A penalty non-assertion request is a sort of “preemptive strike” when it comes to asking for a penalty abatement. You’re admitting that there is some issue with your taxes, and you kindly ask that the IRS does not automatically assess the penalty. Retroactive penalty abatement. If the IRS has already assigned you a penalty, then you may request to have the penalty removed based on mitigating circumstances or first-time offender status. After-payment abatement. Even when the penalty has been paid, you may still request that the IRS abate the penalty. As stated earlier, the IRS will consider medical expenses or other personal tragedies as a good reason to forgive tax penalties. They will also consider first-time offender status. Here, the rules are slightly different. The IRS will, however, erase failure-to-pay, failure-to-file, and failure-to-deposit penalties if you qualify. No penalties over the prior three years. Any tax-related penalties in excess of $100 over the past three years will disqualify you for first-time abatement. In addition, if you incurred penalties for underpaying your taxes, you needn’t worry. You will still qualify. You have no outstanding paperwork. Before requesting a first-time abatement, you will need to ensure that your paperwork is up-to-date . You have arranged payment for outstanding taxes. The IRS requires that you are in good standing on your taxes before requesting an abatement. That means that you need to have arranged for repayment. For those on a repayment plan, you will need to be current with your payments. At Sodowsky Law Firm, PC, we can help you manage tax debts and apply for abatements. We have years of experience helping clients with tax debt manage their obligations to the IRS. We can help you prepare letters requesting abatement and ensure that you are in good standing with the IRS. Contact us today to learn more.